EGGers Consulting Company, Inc., founded in 1967 by President James W. Eggers, C.P.C., is an established organization of recruiting professionals. We are a nationwide executive search firm specializing in executive recruiting and placement in a number of fields. 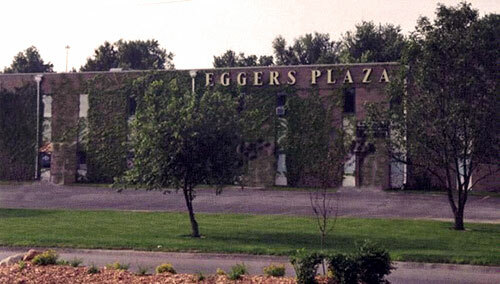 In 2014 James Eggers made the decision to retire and EGGers was purchased by two long-time employees. Randy Lyons, CEO and Ellen Hembertt, President have 45 years combined tenure at Eggers Consulting. They have continued the commitment of excellence to EGGers amazing employees, our clients and candidates. Excellence has and always will be the core of who we are. With specialized divisions in the areas of banking, and sales, the employees at EGGers succeed by devoting their time and efforts to areas in which they have extensive knowledge. We commit ourselves to the highest standards of confidentiality, integrity, and professionalism. Each of our divisions succeed because of specialization, nationwide networking, ethical recruiting methods, and comprehensive market knowledge. We’re nothing without our team. Learn more about the amazing people who make us the top executive search firm we are today. Our approach is to provide our clients with a candidate who has the skill set required for the job, fits the culture of your company, and is looking to make a move for the right reasons. And we don’t settle for candidates who are actively looking. We tap into our deep network to identify the top-performing individuals, even if they’re happy at their current job. This combination allows us to find candidates who will provide leadership and help your company thrive for years to come. Confidentiality is our number one priority. We don’t ever give your information to a company without your permission and will never contact your current employer. Throughout the hiring process, we help candidates every step of the way. From getting to know you and providing honest counseling and coaching to helping negotiate salary and benefits and helping with your resignation, we’re there from start to finish. Call or email us today to get started with EGGers Consulting.